Clear beveled glass, classic details and a beautifully rich, red bronze finish on cast aluminum adds the element of grandeur. Clear bulbs are recommended with the clear glass for better aesthetics. 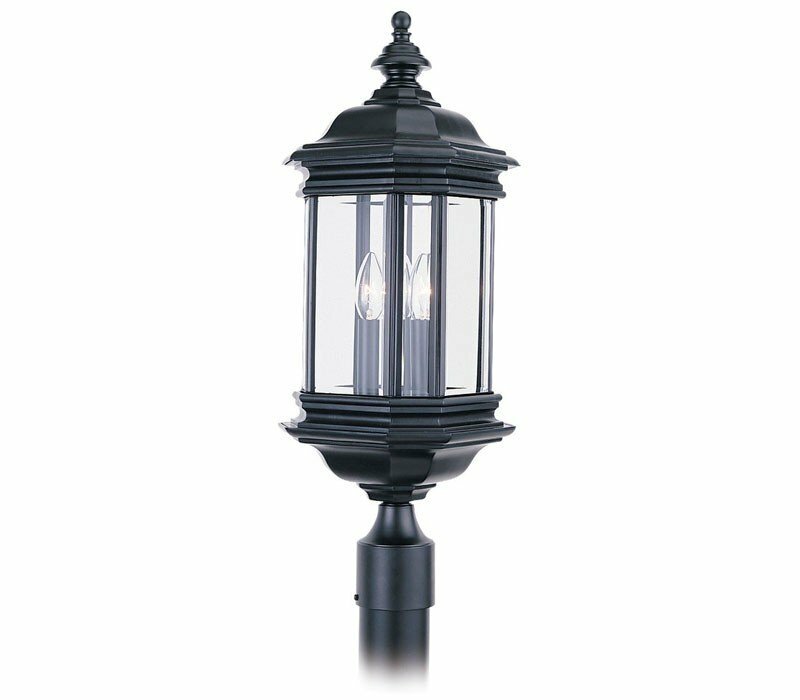 The Sea Gull Lighting 8238-12 Hill Gate collection Outdoor Post Lighting in Black uses Incandescent light output and brings Traditional style. This item is 24.25"H. The wattage is 135. 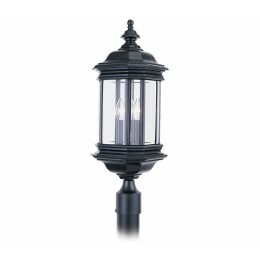 The Sea Gull Lighting 8238-12 requires 3 bulbs (not included). Additional Information: Shade-Clear Beveled Glass.